Water testing by the Meander Valley Council at Four Springs Lake has revealed blue green algae to be currently present. Blue Green Algae may pose a risk to water users and anyone who draws water directly from the water body. Swimming, canoeing and any other recreational use should be avoided until further notice. Contact may cause sickness in humans and animals. Contact may cause skin and eye irritation. At low levels of algal density fish are safe for consumption if cooked – consume at own risk. Meander Valley Council will continue to monitor water quality. If you have any queries regarding this matter please contact the Meander Valley Council on (03) 6393 5300 between 8.30am and 5pm, Monday to Friday. On Monday 15 April access to the Woods Lake boat ramp will be restricted from 7.30am until about midday. We are going to remove some dangerous dead branches from the large trees over the car park. Access will reopen as soon as the work is completed. On Tuesday afternoon, we took a moment to say thank you to Stephen Hepworth who retired from the Inland Fisheries Service last year. We wanted to recognise the 18 years of valued service he gave to IFS, with the last 10 years as the Manager of Compliance and Operations. Stephen was the beneficiary of one of the largest known ‘crowdfunding’ efforts from our workplace. We wanted to ensure Stephen’s retirement lifestyle reflected the effort he exerted while working with us. A reproduction of his favourite painting of yingina/Great Lake was the centrepiece of our gift giving. On behalf of all of us at IFS, we wish Stephen and his lovely wife, Betty, all the best for their adventures together in retirement bliss. Arthurs Lake – After some tough times, we were pleased with how well this water fished. 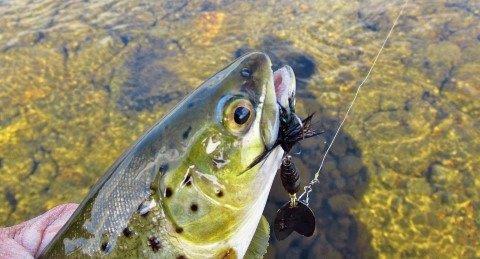 Both lure and fly anglers were catching fish that were in fantastic condition. Four Springs Lake – There were less anglers, but some impressive bags caught. 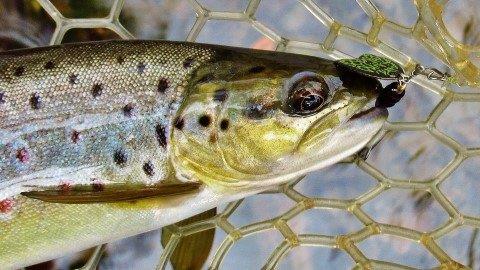 Fly anglers did well from the shore. Nineteen Lagoons – Anglers reported plenty of cruising fish from Lake Botsford, Lake Augusta and Lake Ada. Tailing fish were reported at Howes Bay Lagoon and Double Lagoon. Woods Lake – Saw great catches with one very impressive fish weighing in excess of two kilograms. 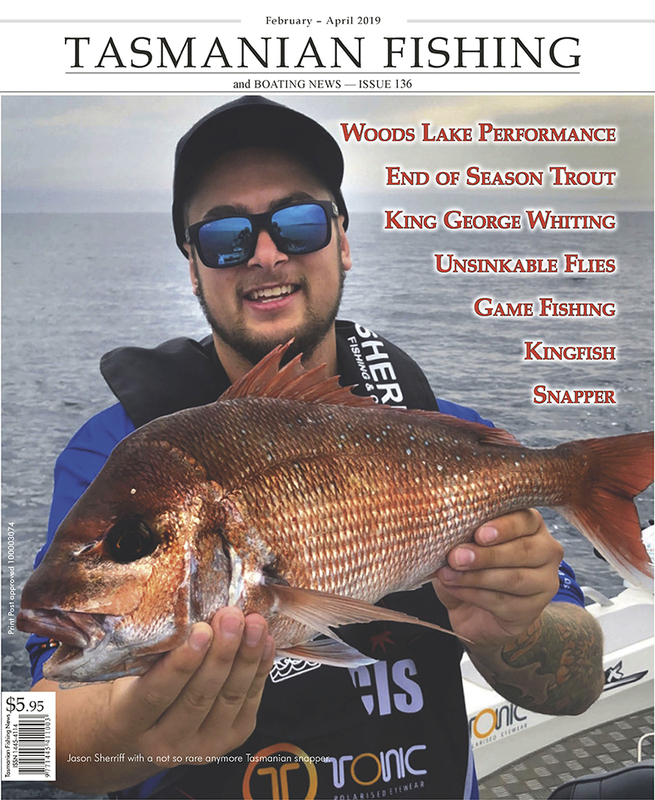 yingina/Great Lake – Swan Bay, Haddens Bay and Cramps Bay were the hotspots. One bait angler in Swan Bay caught four good fish ranging between 420 mm and 480 mm in an afternoon session. Time to get your gear ready and check your licence. Recreational scallop season opens from Saturday 13 April for all waters except the D'Entrecasteaux Channel. 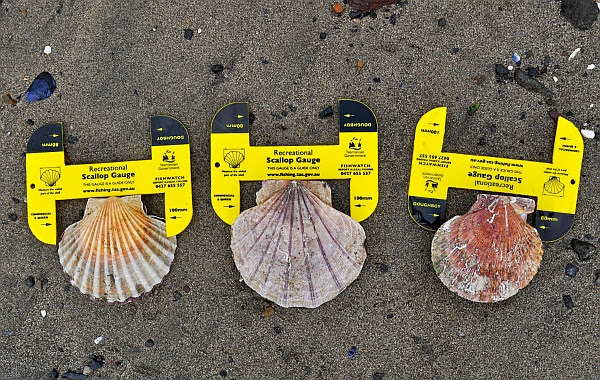 A reminder that only the licence holder can dive for scallops. Measuring gauges are available from Service Tasmania outlets. Site works to replace the flood damaged pedestrian bridge between Lake Ada and Ada Lagoon will be underway between Wednesday 10 April and Friday 12 April 2019. As part of these works the carpark at the end of Lake Augusta Road and the Talinah 4x4 Track will be closed from 0700-0900 on Thursday 11 April 2019. This closure is required to facilitate the helicopter operations for the replacement of the bridge as is subject to weather. The boat ramp at Lake Ada will be available during the closure however there will be limited parking. Once the helicopter operations are completed the carpark and track will be reopened. Access across the pedestrian bridge between Lake Ada and Ada Lagoon may also be limited on Thursday 11 April 2019. Visitors are advised to avoid the area if possible during the works period. For further information please contact the PWS Project Manager on 6777 2255. 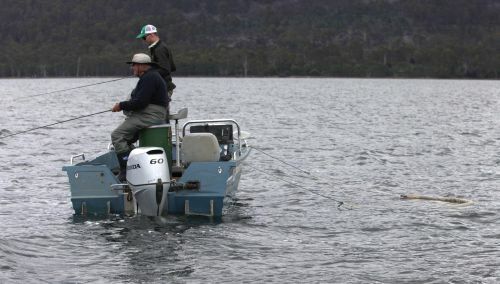 Lake Crescent remains carp free, and no spawning in Lake Sorell! The annual Lake Crescent juvenile carp survey took place on 6 March 2019. This survey aims to make sure carp have not made their way back into Lake Crescent, and to look for any sign of spawning. We have not seen Carp in Lake Crescent since 2007, but we do surveys every year to check. We focused on areas that carp like. These include rocky or sandy shores and spaces with lots of weed. We fished fourteen areas around the lake using backpack electro-shockers. We caught short-finned eels and golden galaxias but no carp. Read more: Lake Crescent remains carp free, and no spawning in Lake Sorell!